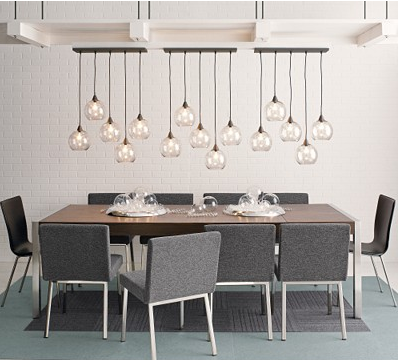 While you’re there, check out these GENIUS glass globe pendants– used in a series above a dining table they look modern, cool and totally unexpected! My heart goes pitter-patter. 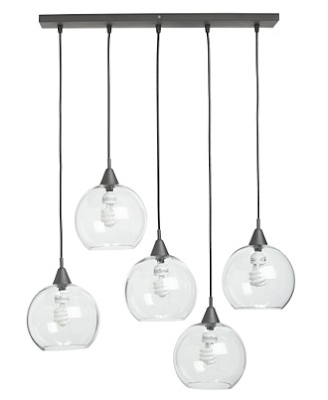 I'm obsessed with those globe pendants, too!! How funny, I just recommended them to a client – they are so fabulous! 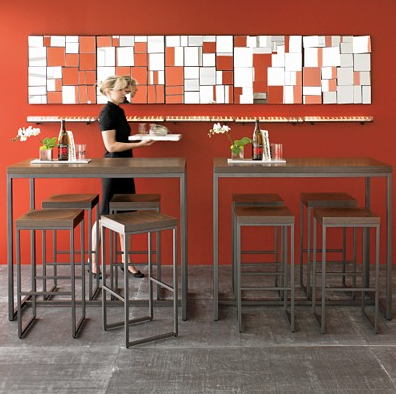 WOW…, love that table and stools!! I love the idea of a high top eat-in, so clever. 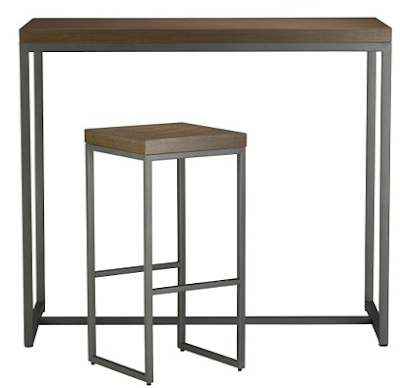 Just place it in the middle of the room and you have an island for prep and a place for guests to sit too, perfect!